GREAT BUSINESS OPPORTUNITY right off Rt. 390, Rt. 36, and next to the airport! 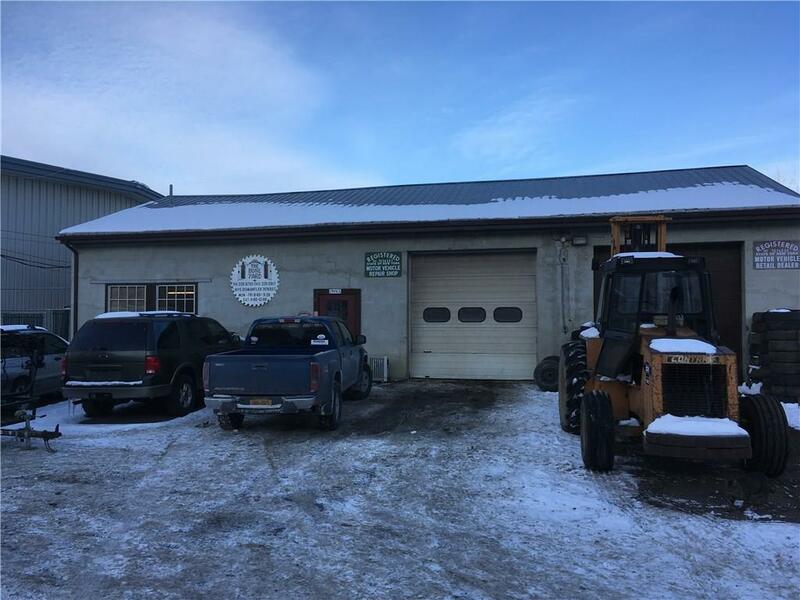 Two large buildings located on 12.10 acres of land zoned as heavy industrial/ auto salvage. Office/shop building built in 1966 includes large auto mechanic bay area with two overhead doors, large office with counter space and bathroom. Large warehouse building built in 2000 is a top of the line Butler building boasting 10,500 sq. ft. of space which includes 4 overhead doors and separate office area.